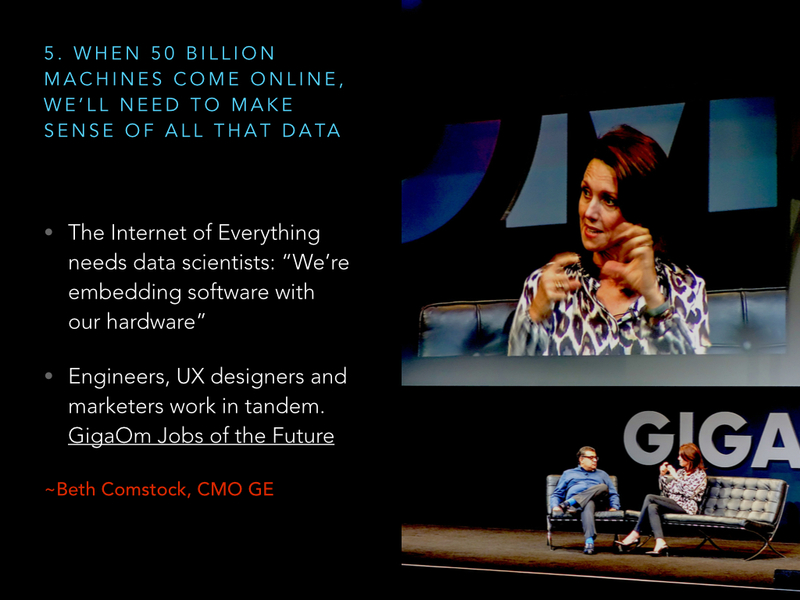 It’s about to explode as 50 billion machines come online in the near future (according to GE CMO Beth Comstock, see 10 new tech-related thoughts I must share after my trip to San Francisco). Marketing, PR, whatever will no longer the be icing on the cake (or an expendable expenditure), but rather an essential first step in tandem with research, product development, ideation, whatever. That’s because the feedback loop with the user will be crucial to design of these once inanimate objects that now are in perpetual communication with the user, and other organizations. Professional communicators will not only serve as the guiding strategists between the hardware’s interface and the user, but they will also play the role of translator and internal agents of transformation for an organization replete with UX designers and engineers. The millennial demographic boom will hit critical mass from an economic and cultural point of view, at least in the United States. We’ve lived with the profound impact of the 77 million post-WWII baby boomers for the last 50 years. The 121 million millennials who have been just under the radar are now emerging and everything is going to change. Think Elvis and The Beatles for the order of magnitude I refer to. I saw, heard and learned this repeatedly from my students and our guest speakers (ever heard of Maker Studios or Pew Die Pie?) in my fall Communication through Digital Media & Networks class. This article on DIY TV should make anyone over 40 tremble. Speaking of those millennials, TL;DR. This web (and increasingly mobile) generation will want to engage with organizations and potential employers very differently. A need for brevity is one reason some believe young people are turning away from Facebook, particularly towards messaging apps. 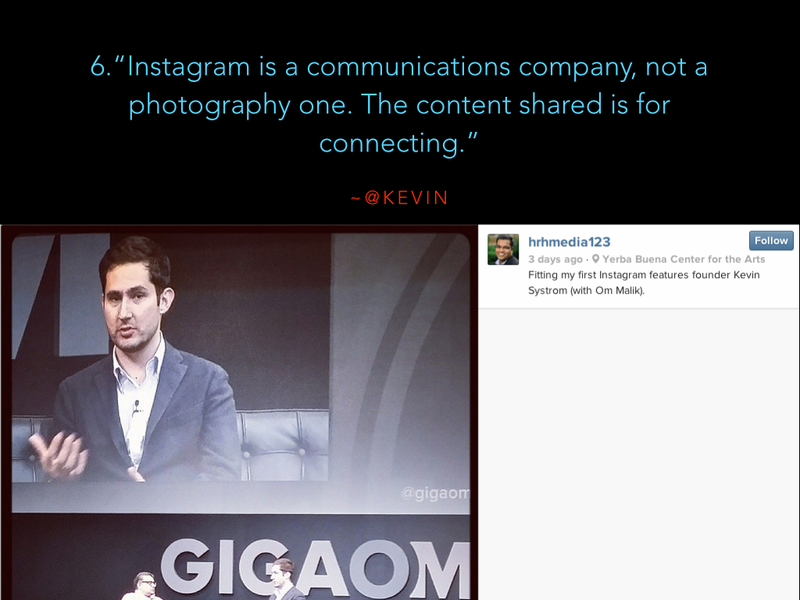 I was particularly struck by Kevin Systrom’s remarks in San Francisco when he said Instagram is a communications company, not a photography one. In other words, the content users are sharing is for connecting, not archiving. Witness also how Twitter and Facebook are privileging images on their platforms. So even as this post truly is TL;DR, I tried to apply #3 during my trip through London, Paris and Brussels as I experimented with the recently launched Exposure visual storytelling platform. As The Verge says, Exposure turns your photo sets into stunning graphic stories. I like that as a paid service, it favors the professional content creator who wishes to maintain ownership and control over intellectual property, as well as the highly touch-friendly interface. I wish I could embed my stories elsewhere, as well as include video (Exposure’s founder created Vimeo after all) and links generally. 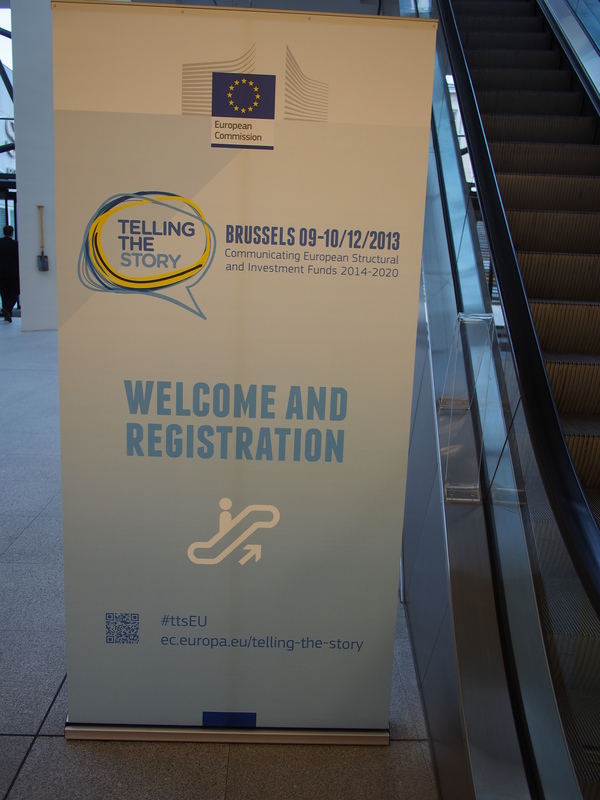 I was invited by Tony Lockett from the European Commission to participate in its groundbreaking “Telling the Story” conference. I thought it was quite remarkable that an institution of this size and reach had even made the turn towards storytelling as a primary approach to engagement. But desperate times do call for desperate measures, as the European Union’s public image is at a record low opinion rate: 30%. As I flew 8,000 km to get there, I was later informed that I had traveled the greatest distance to participate in this first-time event. Awareness of EU-funded projects range from just 10% in the UK to 80% in Poland. And yet the entity’s research revealed that citizens notice the EU more when it had a direct impact on their lives (big surprise there). So the solution ahead of major elections in 2014, tell the story of the concrete impact of the use of EU funds on European stakeholders. Poverty and youth unemployment are major issues right now, so identifying the right kind of stories to demonstrate the use of “structural funds” to address these problems is paramount. 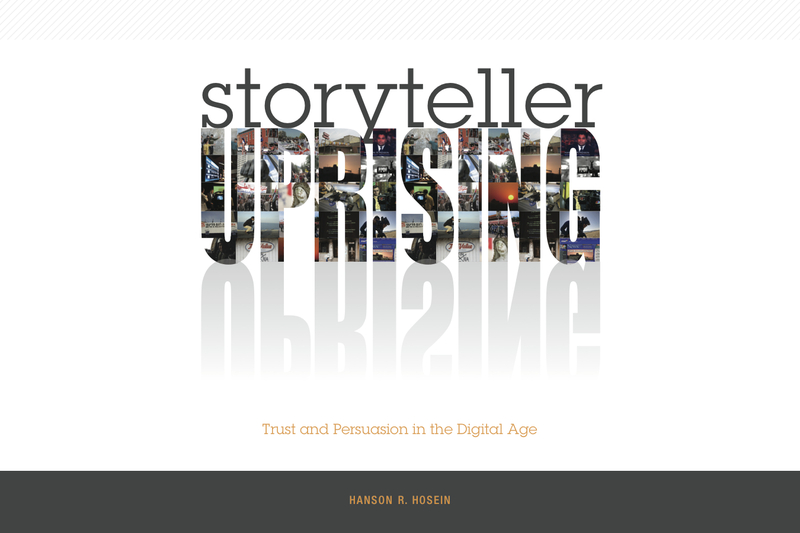 I headlined one session with my “Storyteller Uprising” presentation, with rigorous participation those who joined me in undertaking an “Action Idea” narrative mission statement exercise. One young man from Greece even came up with a storyline about the war hero grandfather he never met that he now intends to turn into a documentary. 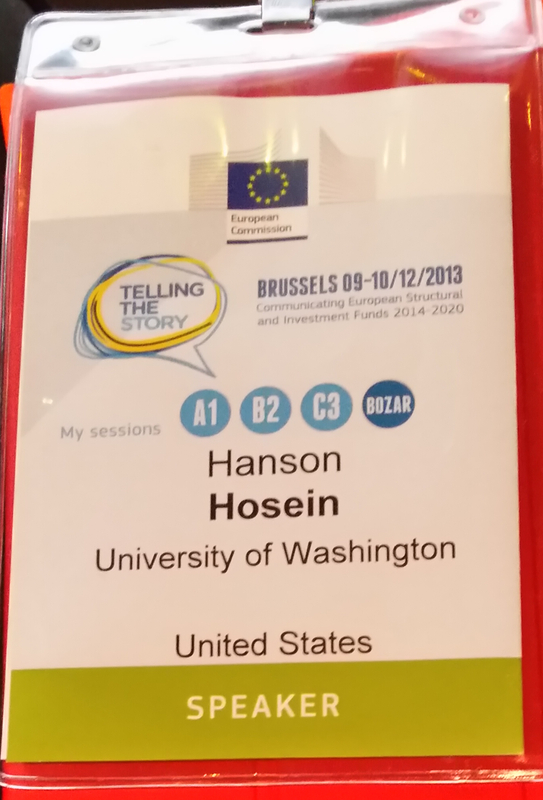 I also moderated sessions on Visual Storytelling and Storytelling with Data. I was especially impressed with the OECD’s Better Life Index as data visualization, along with the Italian government’s efforts at transparency through its support of the Monithon open source platform. Without a doubt, my somewhat forceful, Americanized approach differed from a more sedate, policy-focused emphasis of some of my peers. 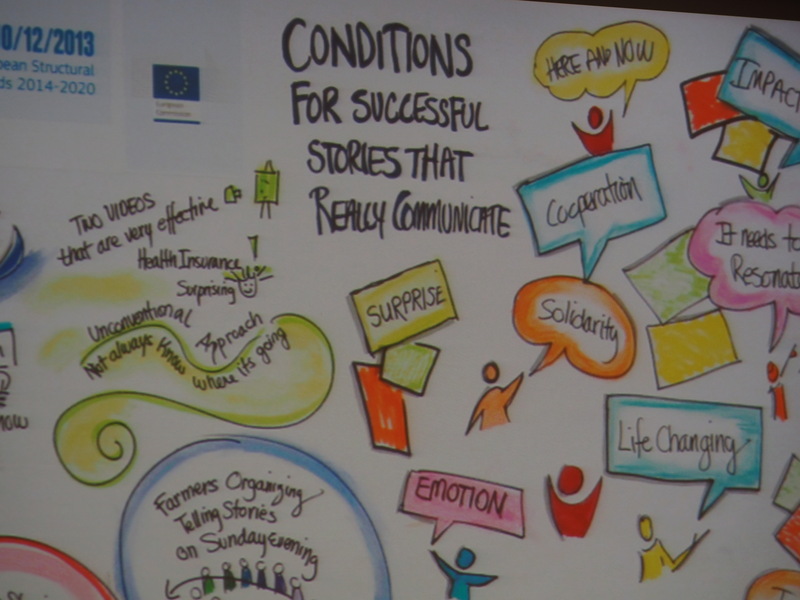 Yet I was gratified to chat with a number of young EU communicators who expressed appreciation for the case I had made, even as they were frustrated with their ability to convince (usually older) higher-ups that this more creative strategy was the best way to connect directly with stakeholders (and that marketing generally should not be an afterthought). You can get a good sense of the conference through its Storify channel as well as the presentation archive. My final command performance was an IABC Happy Hour keynote, where I managed to speak without slides to my industry peers. Amazingly, I also connected with a former classmate of mine from Columbia J-School, who I hadn’t seen in two decades. As this was more of a private sector crowd, I focused my talk on content marketing with “How I got Jeff Bezos to sign my Kindle, and what it means for storytelling.” It featured the strategy we produced for the new Bezos Center for Innovation in partnership with with UWTV. Bereft of Powerpoint or Prezi, I had props, including the Kindle Paperwhite that Amazon founder and CEO Jeff Bezos signed for me. 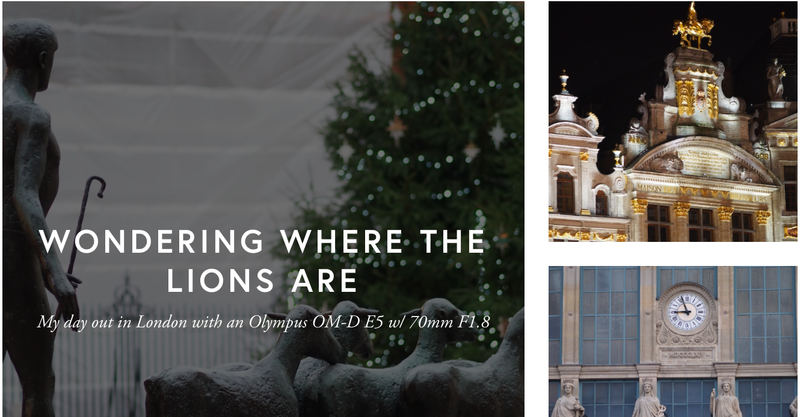 Now, the Exposure version of this story will give you a better sense of what I did in my free time in Brussels, as well as the bike accident I incurred upon my return to Seattle, but I’ll leave it to you to judge which format you prefer most. Looking to the year ahead, I’ll have more than enough opportunity to “tell the story” as I take on CES, SXSW Edu, Dent the Future, and host my third IN-NW social engagement conference with the Seattle Chamber of Commerce. Bring it on 2014!